One of the main challenges that general dentists face is treating children when they need to remain still for long periods of time. Even if it is not for a type of surgery, children do not usually want to sit still for long. As a pediatric dentist, we offer sedation dentistry to help children remain still and calm during a dental procedure and appointment. We take the necessary precaution and steps to ensure safety when using sedation dentistry. We will evaluate the patient’s current condition and medical history to make sure the sedation technique does not have a negative impact on their health before use. By working with the parents/guardians, we will take the time to go over the process and information they need to know. If you are interested in learning more about sedation dentistry to see if it is right for your child, give us a call today and schedule an appointment. 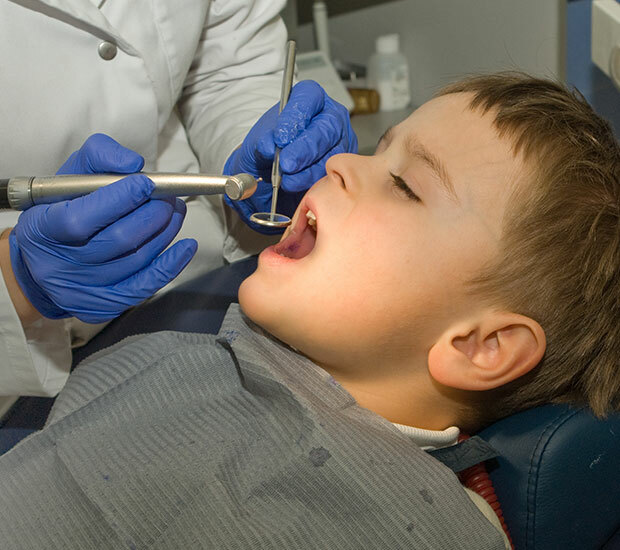 Sedation dentistry for children involves introducing nitrous oxide or intravenous sedation to the child’s body to help them relax during the appointment. The type of sedation and level can result in the child remaining awake and calm to asleep during the procedure. Depending on the reason for the sedation and the child’s overall health, we will determine the proper amount and type of sedation. Nitrous oxide is also known as laughing gas and is one option we may recommend for patients through a mask. Typically, this mask will introduce a mixture of nitrous oxide and oxygen into the child’s lungs. The patient will begin to relax within five minutes of breathing the gas. By introducing pure oxygen to the lungs after the procedure, we can quickly relieve the effects of the gas. Intravenous sedation involves administering sedation through an IV needle into the patient’s vein. This type of sedation is usually only for complex dental surgery or situations in which the first two options are ineffective. The patient is typically asleep from the influence of laughing gas before inserting the needle into a vein on the hand. While the type of sedation we recommend for the child will vary, we need the parents/guardians to help prepare the child for the appointment. There are various levels and types of sedation. During your consultation Dr. Geri-Lynn Waldman and Dr. Isha Suri, will discuss the recommended procedure with you, along with any anxieties your child may have. At that time, a recommendation will be made for the type of sedation you may want to consider. The ultimate decision is based on how you believe your child will handle the procedure. In many cases, our NY patients simply need to relax and prefer to use laughing gas in order to do so. It is quick, effective, wears off when the procedure is finished. Laughing gas does not impair any other bodily functions following the procedure as well. Some patients may even use laughing gas to relax when getting their teeth cleaned since there is no actual pain associated with the treatment. Regardless of the dental work, patients throughout the area may prefer to use a combination of laughing gas and localized pain medication. We can inject pain medication to numb the area that we are currently working on. As a sedation dentist, this is an effective tool for us to prevent and eliminate discomfort. We can administer as much medication as is necessary throughout the course of the treatment, and only that specific area will remain numb. The benefit of this type of sedation is how localized it is. For example, if a cavity is being treated on one side of the mouth, the other side will remain fully functional. This way, your child can eat immediately after the treatment while the numbing effect wears off the other side. If a more intensive procedure is required, patients may prefer IV medication for a more thorough effect. Yet, when sedation is administered through an IV, the numbing effect is more pervasive and not confined to that one specific area of the mouth. Many of our patients request this type of medication because they want to ensure that they do not feel anything while having dental work performed. While the effects can still wear off fairly quickly after the treatment is complete, we recommend closely monitoring your child after the procedure. For those needing oral surgery in NY, total sedation may be necessary or preferable. This is often referred to as sleep dentistry because a patient is put to sleep and will not remember anything from the procedure. As a sedation dentist, we find that this is an excellent solution when a patient is getting a full smile makeover. When the majority of teeth are being worked on, the procedure can take a significant amount of time. Dr. Geri-Lynn Waldman and Dr. Isha Suri, needs time to work with precision and not rush through the procedure. With that in mind, many of our Middletown patients find it difficult to hold still when the treatment lasts longer than an hour or two. Having the patient go to sleep is a much better option since the patient will remain still, feel comfortable and not remember what took place during the treatment. If this is your preferred method of sedation dentistry, we will monitor your child carefully during and after the treatment to ensure the anesthesia wears off properly. You will also need to keep an eye on your child at home. These procedures typically call for rest and relaxation anyway, so have your child take it easy at home before resuming any normal activities the next day. 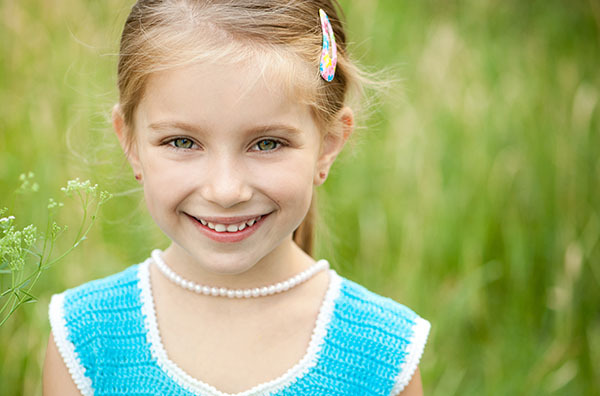 If your child needs to have dental work completed, a sedation dentist can be the best option. At Hudson Valley Pediatric Dentistry, we offer sedation dentistry for patients living in and around the Middletown area. We understand that even for adults, visiting the dentist can be an overwhelming or frightening experience due to dental anxiety. This common condition forms from a negative experience or becoming fearful of the general dentistry at a young age. While common, your child does not have to be concerned about visiting our dentist office. We can ensure your child's comfort the entire time. When you schedule an appointment with Dr. Geri-Lynn Waldman and Dr. Isha Suri, let us know if your child has dental anxiety so that we can prepare for your visit accordingly. For many people, the actual procedure is not uncomfortable, rather the anxiety and worry that causes angst. While this is not a pain killer, it eases the fear and relaxes the body so that your child can remain peaceful while having dental work performed. While the dosage is different, laughing gas can be used on both children and adults so that all of our Middletown patients can remain comfortable. We understand that people may have a large variety of questions about sedation dentistry for a child and are here to answer them. Below are a few common questions we hear and our answers to them. How Long will the Effects of the Sedation Last? The amount of time the effects of the sedation last will vary per the type of sedation. While the child will wake up fairly quickly, there is a chance they will feel dizzy, nauseous, sleepy or have slight temporary difficulty with movement. We will review all of the necessary steps and what to watch out for before the appointment. How can I Prepare my Child for This Appointment? To prepare the child for sedation dentistry, we will need the parents/guardians to limit the food and drink a child has before the sedation. Talking to the child about the sedation can help to ease any stress the child might have. If nitrous oxide is the recommended method for the sedation, preparing the child about wearing the mask can help make the situation easier. Making sure the child wears comfortable loose clothing will help make it easier to attach monitors without trouble and help the child relax. Bringing a comfort item, favorite toy or blanket can also help to relax the child. What Should I Consider when Choosing a Type of Sedation for My Child? We will need to review a child’s full medical history before administering any type of dental sedation. We need to know if the child has any prescription medications or health issues that will not work with the sedation methods. Even if it is an over-the-counter medication or vitamin supplement, we need to know about it. Can my Child Return to School After the Appointment? In most cases, no. The effects of sedation will take a few hours to completely leave the system. The child needs to return home, rest and take it easy until then. Even returning to daycare is not recommended. What can my Child eat after Sedation? The first few hours after a procedure, the child should only consume soft foods. If the child is vomiting or experiencing other stomach issues after the sedation, then the parent/guardian needs to contact us immediately. If you live in the local area and are interested in visiting a sedation dentist for your child, call (845) 363-4177 to schedule your appointment. At Hudson Valley Pediatric Dentistry, we will take the time to get to know your child and understand all of your concerns first. Once we have a clear understanding of the situation, we will then make a formal recommendation as to the type of sedation dentistry that you should consider. We will also need to know if your child has any other health issues, risks or allergies. Typically, if your child has responded well to pain medication or sedation in other medical treatments, he or she will do well with sedation dentistry. Still, if you have questions or concerns be sure to discuss them with Dr. Geri-Lynn Waldman and Dr. Isha Suri. With any type of dental work, it is important to be well informed and make a decision that you feel is best for your child's health. As such, we want you to be an informed and educated patient. Thanks to modern technology, if your child is afraid of having dental work done or visiting the dentist in general, your child no longer has to be. 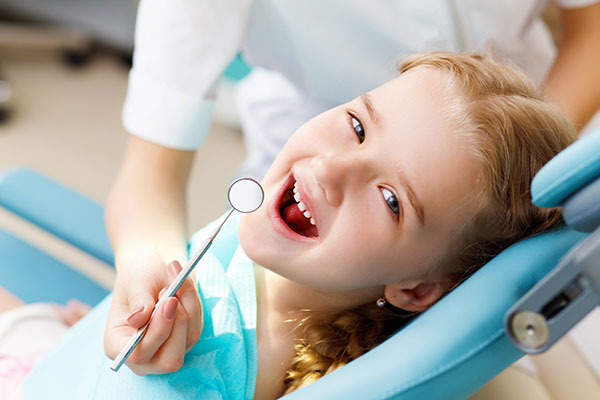 As a sedation dentist, we can ensure that your child's experience is a positive one. Call 845-363-4177 for more information or to get started. 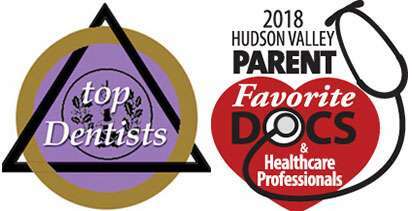 Hudson Valley Pediatric Dentistry was established in 2016. We are committed to providing quality service to residents located In the Middletown, NY area. Our website has additional information about the following topics: Pediatric Dentist, Pediatric Dentist Near Me, Pediatric Dentistry, Dentist For Kids, Kid Friendly Dentist, Children's Dentist, Dentist For Children, Dental Checkup For Kids, Baby Root Canals and Kids Dental Crowns.